It’s that time of year again! 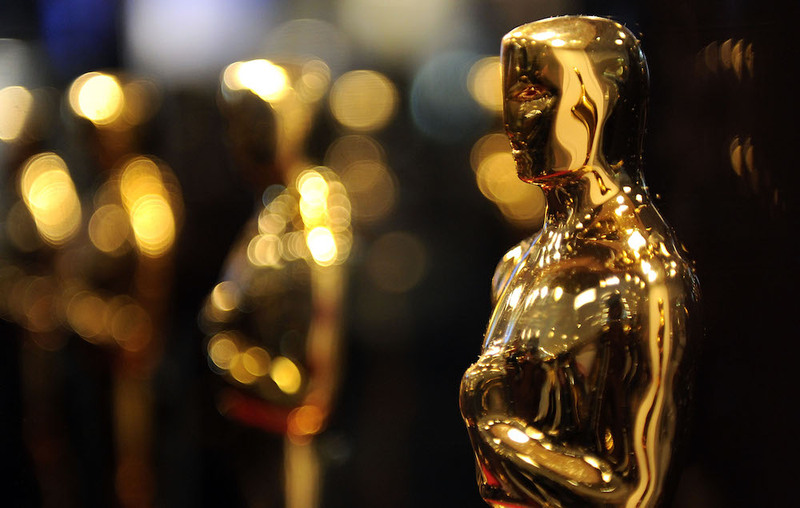 It’s become kind of fashionable in critical circles to get a bit snooty about the Oscars, but not me – I still get really excited about it. I’m also pretty pleased with myself after last year when I predicted that Moonlight would come out victorious in the Best Picture category even when La La Land seemed the absolute dead cert to win. I just wish I’d put a bet on, but didn’t because I’ve never won a bet in my life and didn’t want to jinx it. Guillermo del Toro’s swooning romance about a mute woman falling for an amphibious creature is perhaps the most Del Toro-ish movie in the master fantasist’s career, blending frank sexuality with straight up creature feature romance. It’s a rare thing that manages to be both macabre and heart-warming. You can read my full review here. Kino Scala screening: view here. Three Billboards was many people’s favourite for Best Pic leading up to the nominations, but like La La Land last year, they may get struck down with a nasty case of backlash at the worst possible time. McDonagh’s tragicomic tale of a grieving mother desperate for justice is an outstandingly well made and acted film – all the performances are top-notch (especially Frances McDormand, probably a dead cert for the Best Actress gong); McDonagh’s acerbic screenplay is dexterous, profane and very funny; Carter Burwell’s score is among his best, and so on. However, the film has divided audiences, perhaps due to its strange tone. It treats its deadly serious subject matter with borderline flippancy and can’t quite decide whether it’s optimistic or nihilistic about human nature. Also troublesome in the current climate is the film’s eagerness to hand out redemption to Sam Rockwell’s comedy bigot cop, who is played as more cartoonish than abhorrent. Kino Scala screenings: view here. Gary Oldman is a strong favourite to take the Best Actor award for his riveting performance under heavy prosthetics as Winston Churchill. He’s great as always and plays the wartime icon with surprising vulnerability, which makes the legendary orator’s “greatest hits” speeches especially rousing. Darkest Hour covers the first few weeks of Churchill’s stint as Prime Minister when he was parachuted into the top job to replace Neville Chamberlain when – as the title suggests – the nation was facing its gravest peril, with America yet to enter the war and its entire Army stuck on a beach in Dunkirk. Director Joe Wright does his best to enliven innumerable scenes of old men shouting at each other in dark rooms with his usual visual flair. I haven’t seen this yet, but the prospect of P.T. Anderson teaming up with Daniel Day Lewis again is an enticing one. It was Lewis’s last acting role before retirement, so some might see it a fitting end to a tremendous career if he could nab another Best Actor award to go with the ones he won for My Left Foot, There Will Be Blood, and Lincoln. I’m absolutely gutted The Florida Project only received one measly nomination, as it was my film of the year. Steve Baker’s vibrant, compassionate follow up to his attention-grabbing breakthrough Tangerine takes a look at the “hidden homeless” living hand-to-mouth in a budget motel just outside the “Happiest Place on Earth”, Disneyland Florida. The primary focus is Moonnee (Brooklynn Prince), a six year old girl, and her unemployed, irresponsible young mother. The nomination it received is a worthy one – I can’t remember the last time I enjoyed a performance as much as Willem Dafoe’s turn as Bobby, a gruff, put-upon hotel manager who tries his hardest to look out for his guests, and becomes a reluctant surrogate father to the hotel’s numerous latchkey kids. Kino Art screening: view here. Veteran Christopher Plummer only received his third Oscar nomination in a career spanning sixty years for his work on All the Money in the World, under pretty unusual circumstances. Plummer was Ridley Scott’s original choice for the role of tycoon J. Paul Getty, but lost out to the more starry name of Kevin Spacey. Then, after the sexual harassment allegations blew up around Spacey, Scott decided to give him the chop and reshoot all his scenes with another actor. Enter Christopher Plummer, who spent nine days on reshoots and received a Best Supporting Actor nomination for his efforts. Cinema City screening: view here. Margot Robbie is up for Best Actress for her fierce, salty, yet vulnerable turn as disgraced figure skater Tonya Harding in Craig Gillespie’s raucous slice of revisionist history, I, Tonya. It’s a mischievous film which casts doubt on the testimony of its own characters, and plays like Goodfellas with skaters instead of gangsters. Some people may object to the idea of recasting Harding as the victim of a sordid affair where one of her fellow competitors was kneecapped, but Robbie is fantastic and matched by Allison Janney as her bitter, chain-smoking, abusive mother – Janney’s also up for Best Supporting Actress. Saoirse Ronan, who is nominated for Best Actress in Lady Bird, also has a role in Loving Vincent, but the star of the show here is the team of 125 painters whose incredible work became the world’s first hand painted movie. The biopic of the eponymous Vincent van Gogh is a wondrous tapestry of visuals, and I’m delighted that it has received a wider release. Loving Vincent is up for Best Animated Feature. That’s the main Oscar contenders playing in Brno this month. Which film will win Best Picture? My bet is that The Shape of Water will fall away by the time the voting starts on 20th February – of all the films in the Best Picture category, that is the one that stuck with me the least, and I don’t think it’s substantial enough to last. I think voters will follow the trend of recent years and I foresee Lady Bird, picking up a head of steam and taking the top award. It seems quite slight but has a lot of admirers, and I think Greta Gerwig’s nomination for Best Director will give it a huge boost over the next month. Sean Penn’s performance is either the film’s greatest asset or biggest flaw, depending on how you respond to it. Showing on Oct 15 as part of Kino Scala’s Paolo Sorrentino retrospective. Clash of the Titans (1981) – Release the Kraken! 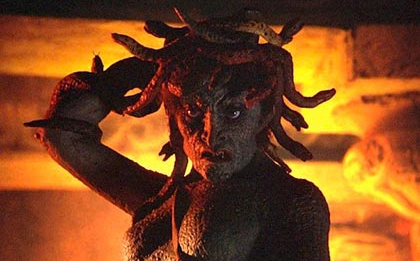 Clash of the Titans is a swords and sandals epic, full of Ray Harryhausen’s stop motion monsters to enjoy.